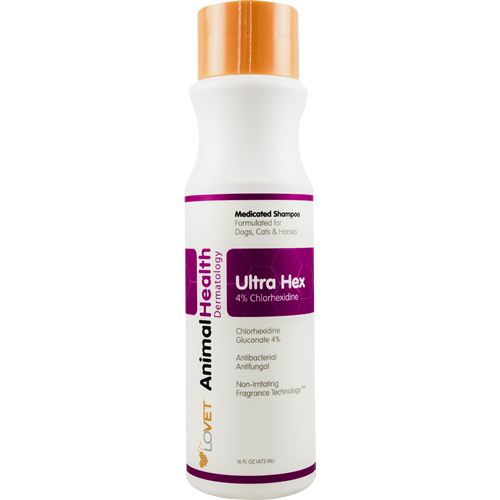 Ultra Hex medicated shampoo is an antiseptic soap-free shampoo with antibacterial properties used to manage and treat skin conditions responsive to Chlorhexidine. Chlorhexidine Gluconate is a broad-spectrum antibacterial ingredient most commonly used as an effective skin cleanser for wounds, preoperative skin preparation and surgical scrubs. Bacterial or yeast infections cause many skin problems in dogs, cats and horses that can be controlled with antiseptic shampoo containing Chlorhexidine. Symptoms of these infections include itching, pimples, bad odors and rashes. Chlorhexidine treats these symptoms and helps prevent skin areas from getting infected. Wet coat thoroughly with water. 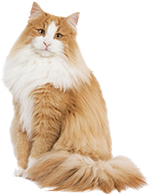 Apply sufficient shampoo over entire body to creat rich lather. Allow to sit on animal between 5 and 10 minutes. Rinse off completely. Repeat procedure if necessary.